As part of the Alaska Department of Fish and Game’s participation in the review of oil spill contingency plans, the Habitat and Restoration Division (H&R) identified 68 of the most environmentally sensitive areas (MESAs) along the Alaska coastline that could be impacted by a marine spill. This information was originally developed at the request of the Alaska Department of Environmental Conservation (DEC) to assist non-crude oil barge operators in determining whether additional protection strategies were to be included in their oil discharge prevention and contingency plans. 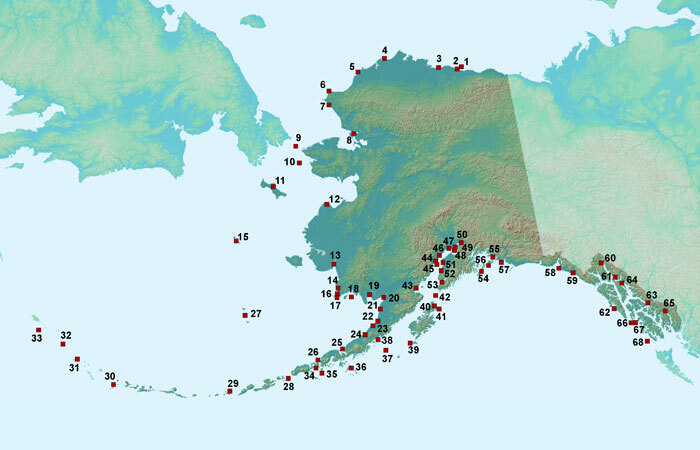 These MESAs should not be considered a complete list of highly sensitive areas in Alaska. ADF&G is the source for data in MESA Atlas Volume I. MESA Atlas Volume II depicts data from four sources: ADF&G, NOAA, Dames and Moore Group (URS Corp.), and EMCON Alaska Inc.(SLR International Corp.). The downloadable data on this page contains data from ADF&G and the Dames and Moore Group. For current ADF&G anadromous fish data visit the Anadromous Waters Catalog — GIS Data page. For updated NOAA data, visit the NOAA Office of Response and Restoration website. Work on data from EMCON Alaska Inc. is in progress. See Oil Spill Contingency Planning: Volume 1 (PDF 72 kB) and Oil Spill Contingency Planning: Volume 2 (PDF 69 kB) for additional information. You may download species shapefiles individually below, or use the following links to download species shapefiles for Volume 1 (all species) (ZIP file 3,366 kB) and Volume 2 (all species) (ZIP file 5,929 kB). Contact our GIS Staff: Wildlife Conservation, Commercial Fisheries or Sport Fish.